Terrapin Care Station’s packaging materials and operational practices for product development and distribution reflect our commitment to environmental sustainability. 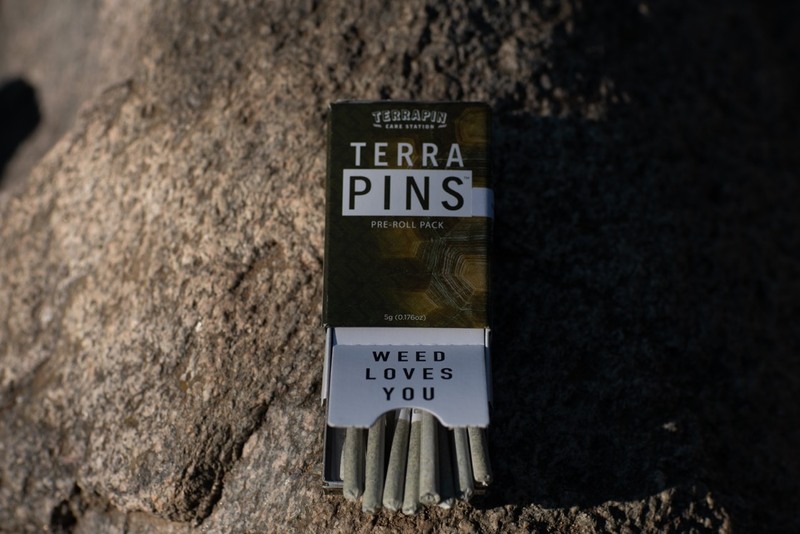 With our corporate headquarters and founding stores located in Boulder, Colorado — a city recognized nationally and internationally for its sustainable policies and leadership in protecting the environment — Terrapin brings extensive experience with environmental policy and best practices. We pride ourselves on being a leader in minimizing environmental footprints associated with the cannabis industry. As a business in a new industry, Terrapin wants to serve as an influencer. We have a chance to craft a cannabis industry that is forward-thinking. Developing responsible green production practices in the early stages of the industry can go a long way in shaping its future. 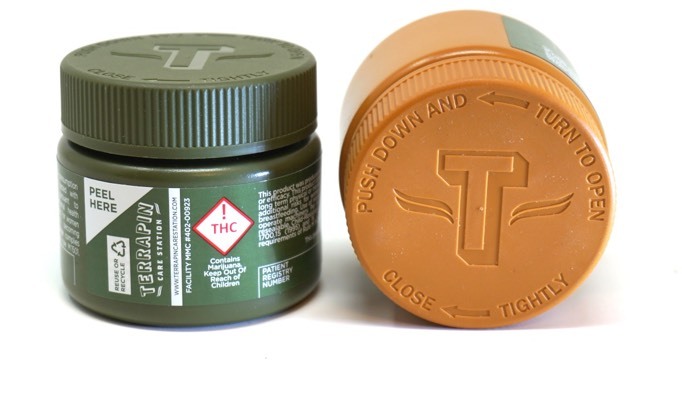 Terrapin Care Station’s packaging materials used for product distribution reflect our commitment to environmental sustainability, especially with the jars that we use. A recycling code on the bottom of our jars helps guide and informs consumers. We do the work to ensure that our jars won’t hurt the environment; you help us out by recycling those jars. Everyone wins, including Mother Earth! TCS’ TerraPins Boxes for our pre-rolled items are made from 33% post-consumer wastes, are recyclable and compostable, and are made with a printing process that uses water-based coatings and soy-based inks sourced domestically. Terrapin Care Station’s recyclable, compostable, 33-percent post-consumer waste pre-rolled TerraPins packaging. Terrapin doesn’t stop at environmentally-friendly packaging for just its TerraPins. Other pre-rolled products find a home in our Double Tubes and Single Tubes from cooljarz.com and microvials.com, respectively. 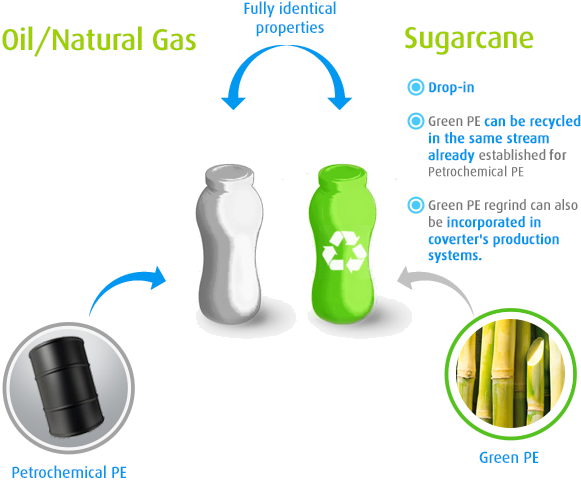 Double Tubes are eco-friendly, BPA free, “earth-wise” and recyclable. Single Tubes are made from medical-grade polypropylene; they’re BPA, lead, and latex free, as well as California Proposition 65 compliant. Our tubes have no animal-derived components, and they’re completely recyclable. 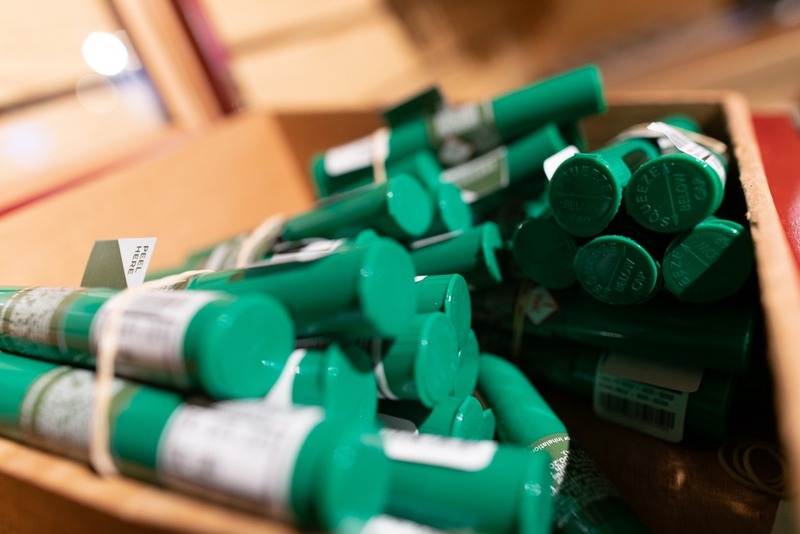 Terrapin Care Station’s tubes for packaging pre-rolled and other products are made from eco-friendly materials, which are completely recyclable. Recognizing the significant amount of electricity that cannabis grow operations consume, Terrapin is highly motivated to minimize its energy use; both from a business perspective to minimize our production costs, but equally out of a corporate philosophy to minimize our environmental impacts, particularly related to greenhouse gas emissions. We implement Standard Operating Procedure to reduce energy use, while also curbing our reliance on power generated from fossil fuels. To that effect, we consider LEED standards for energy savings and efficiency in designing facilities and operations. For lighting systems in our grow operations companywide, Terrapin monitors innovations in the lighting industry that allow us to produce the highest-quality product and largest yields using the least energy possible. When expanding to new markets, Terrapin utilizes LED lights where we can, and we design flower lighting systems to coordinate high-use energy cycles during off-peak energy time periods. Industry technology is constantly evolving, so Terrapin also monitors promising lighting alternatives as they become available. Some technologies that are being explored are ceramic metal halide lamps and new versions of LED lights. Terrapin also contracts with the most innovative mechanical engineers on developing and building energy-saving HVAC infrastructure. Our systems are designed to allow us to moderate temperatures and moisture, while decreasing HVAC equipment needs, thereby driving operational efficiencies and energy conservation. Beyond energy, water is also a high-demand resource that Terrapin seeks to save. We have developed industry-leading practices that have served as a model for curbing water demand in the cannabis industry. When expanding to new markets, Terrapin has developed internal plans to supplement the water we use in the cultivation process by utilizing rain water collection capabilities. We are also examining the prospect of implementing ultraviolet (UV) filtering processes for all incoming municipal water used throughout facilities, as well as using UV filtration on our cultivation wastewater before it exits facilities and enters municipal sewer systems. Building on our early experience in Boulder, Terrapin partners with local waste haulers to develop strategies for composting our soils, leafy materials, and other appropriate organic wastes from our grow operations. This is part of an effort to divert these wastes from going to landfills. 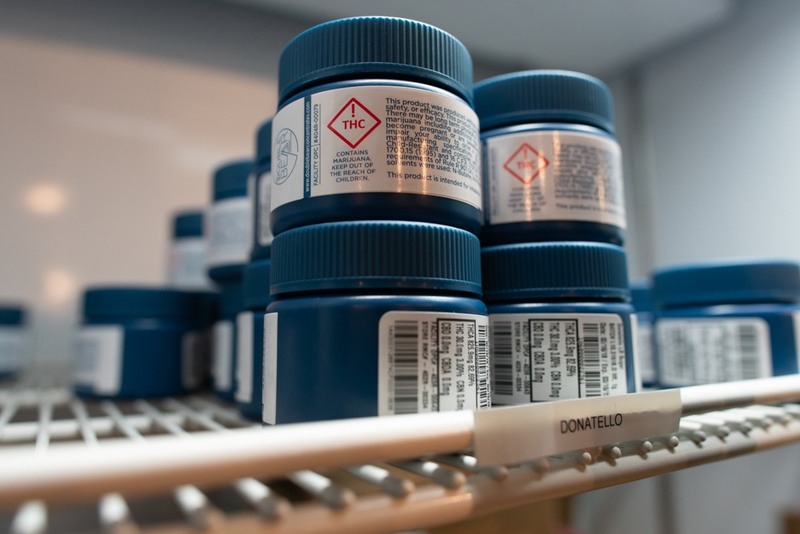 Terrapin Care Station is open to piloting new technologies (and public policies) that could be designed specifically for the cannabis industry. We are always open to suggestions and ideas, so please offer us feedback at feedback@terrapincarestation.com.